Nintendo boss Reggie Fils-Aime thinks that for a Wii owner, there's absolutely no point in picking up a PS3 and PlayStation Move. There's no question that the PlayStation Move is a cool piece of technology, but ever since its debut last week people have been asking one question above all else: Will it be able to differentiate itself from the Wii in the eyes of consumers? Is it too similar to Nintendo's little-console-that-could? Speaking with IndustryGamers, Nintendo's Reggie Fils-Aime answered the first question with an effective "No." Specifically, he tackled the question from the point of a consumer who already had a Wii but not a PS3 (which, to be fair, is probably the majority of Wii owners). "Why would [Wii owners] say that [they now want a PS3]?" Reggie asked. "So I'm a consumer and I'm having a great experience with my Wii. And we know that's the case - we look at the software that's being purchased. Consumers love the Wii. What's going to motivate them to spend minimally $300 for a new [PS3] system, plus minimally $100 for the Move motion bundle? So [as a consumer] now I'm into this for $400 and I still have to spend money on software. What's going to motivate me to do that?" While gamers might be ready to jump ship for the PS3's obviously superior graphics, the man who is Nintendo's public face in the West doesn't think that the general consumer will follow suit. "One of the things I find very interesting about this industry is that people don't seem to want to look at propositions from the consumer viewpoint," he said, "and I think that's very troubling. We're constantly thinking about how the consumer is thinking about the product. How do they approach it? What's in it for them? Why should I as a consumer open my wallet or pocketbook to buy product X?" "We constantly think about that, because in the end, if the experience isn't compelling enough, if the value isn't strong enough - and value meaning what you get for what you pay - then there's nothing in it for the consumer. And a product will die." Of course, let's take Reggie's statements with a few grains of salt here. 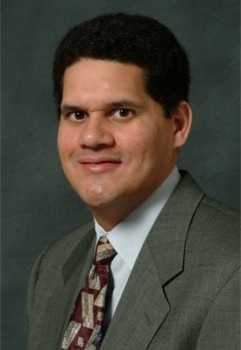 The guy is the public face of Nintendo - does anyone really expect him to go "Oh man, we're worried that the Move is going to bend us over a chair and have its way with us"? Really? But corporate chest-beating or not, he might have a point: Will Wii owners shell out $400 for what - at least on the surface to the untrained non-gamer eye - appears to be a slightly prettier version of what they already own?